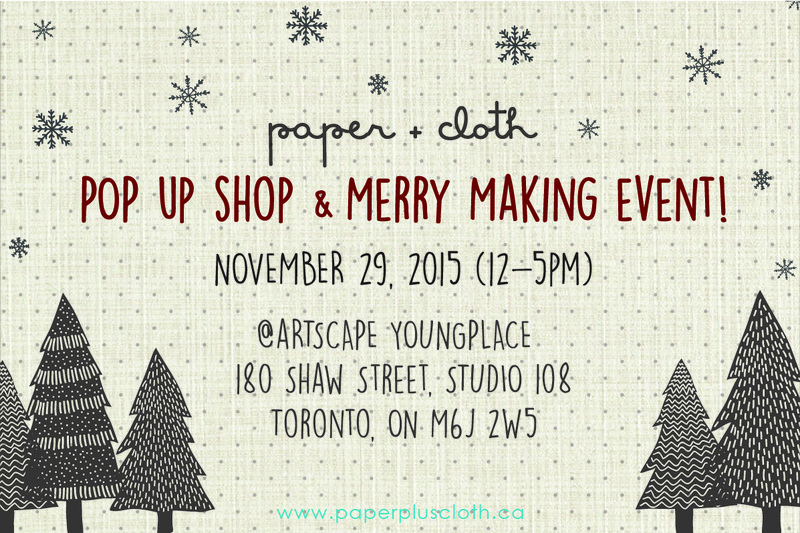 Paper + Cloth pops up at the Artscape Youngplace for some festive merry making with fun holiday themed workshops, drinks, snacks and the opportunity to see all the shop goodies in person! * We are a family friendly event. Relax with some hot apple cider or sip some cocoa at our hot chocolate bar. * Each ticket entitles you to a Paper + Cloth Holiday goody kit which will provide you with all the supplies you need to put together some cute holiday cards and tags to take home. * Tickets are $10 at the door ($8 if you RSVP now on Facebook before November 20th) – and KIDS ARE FREE! *Special guests will be announced in the coming days.